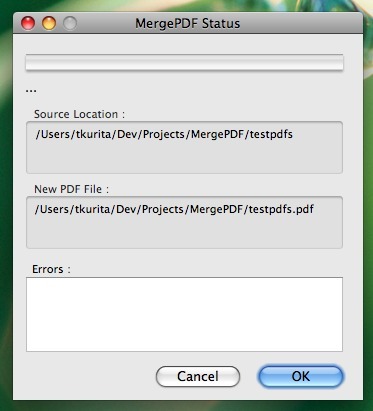 Merge several PDF files to one. Is there a better alternative to MergePDF? Is MergePDF really the best app in Productivity category? Will MergePDF work good on macOS 10.13.4? MergePDF can merge many PDF/image files into one PDF file. Its main feature is its ability to set the order of binding of the PDF/image files according to their view-sorting order in Finder. The PDF files will merge with the order in which they are displayed. In addition, MergePDF can create bookmarks named according to their original file names. MergePDF needs a rating. Be the first to rate this app and get the discussion started!